Most of you might be fed up because of the wrong time in your Windows 10, 8 or 7 operating system and you might be looking for ways to fix this problem. Also learn how to disable touch screen on Windows 10. By default Microsoft Windows operating system are set to synchronize with the time server through internet, so most users don’t need to worry about the date and time settings. You should also read How to change language in Google Chrome on your Android phone. But sometimes it happens that the the clock displays wrong time on the system due to CMOS battery drainage or loss of internet connection or synchronization failure. In my earlier post I have written about How to display My Computer icon on Desktop. 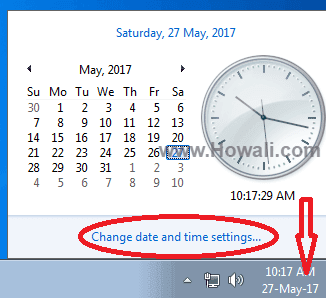 In this post I will show you how to fix wrong time in Windows 10, 8, 7 by changing the time zone and synchronizing with the time server through internet. But before that let me tell you that this post is going to get updated in future based on latest technology updates. So don’t forget to subscribe to my email list and bookmark this post for future reference. Also get the best voice changing tool AV Voice Changer Software Discount Coupon and get 25% off. 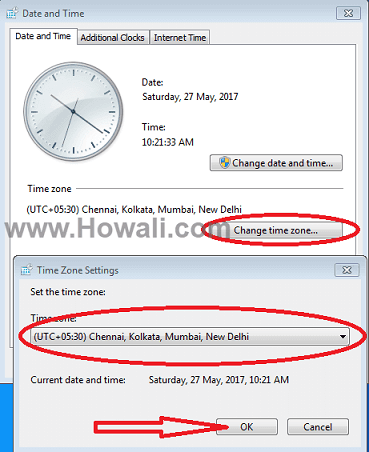 How to Fix Wrong Time in Windows 10 by Changing Time Zone? 1. Click on the bottom right corner of your screen where you can see the Date and Time as shown below in the image. Get 20% Off with our SAM Broadcaster Pro Discount Coupon. 2. Then click on Date and time settings as shown above. 3. You can see the Time & Language settings window like the one shown below. Also learn How to turn off Bluetooth in Windows 10. 4. In the Date & Time settings change Set time zone automatically to On if you are connected to the internet. Windows 10 will automatically detect your time zone and set the date and time properly as per your time zone. 5. But in case if you don't have internet connectivity, then you can change the time zone manually. In this case you have to change Set time zone automatically to Off as shown above and select your time zone from the Time zone section manually. 6. 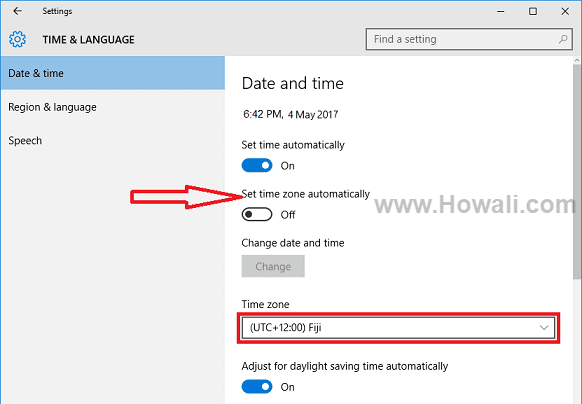 Finally close the Time & Language window to save settings. Get 15% Off with our UFS Explorer Professional Recovery Coupon for Linux, Mac and Windows. Get 40% Off with our Folder Lock Discount Coupon Code. 3. 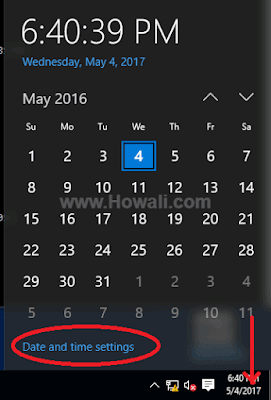 In the Date and time tab click on Change time zone... as shown below in the image. 4. You will see Time Zone Settings window. Select your time zone manually from the section highlighted above. 5. Finally click OK and now you will see the date and time as per the time zone you have selected. Also learn How to Delete Temporary Files in Windows 10. 1. Click on the bottom right corner of your screen where you can see the Date and Time. 2. Click Change date and time settings... as shown below. Get 30% Off with VIPRE Advanced Security Discount Coupon. 3. Click on Internet Time tab as shown below in the image. 4. Click on Change settings as shown in the Internet Time tab. 5. Now you will see Internet Time Settings window. Check the box next to Synchronize with an Internet time server. 6. Select time.windows.com from the drop-down menu next to Server and click Update now as shown above. 7. Once updated, click OK in Internet Time Settings. 8. Finally click Apply and OK in Date and Time window and you are done. 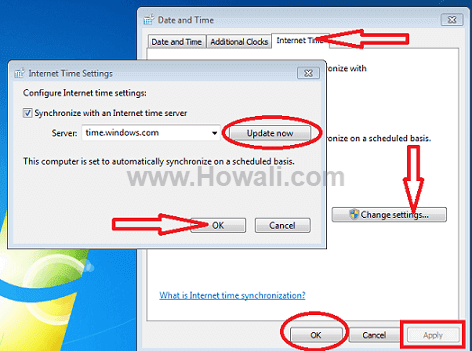 This will update your Windows time as per Internet Time Server. So these were the methods by which you can fix Windows 10 wrong time issue. Windows 8 and 7 users can follow any of the above two methods and fix wrong time issue. Get 35% off with EaseUS Data Recovery Discount Coupon - Best software for recovering your lost data files. Sometimes it happens that the CMOS battery of our motherboard gets so old that it gets drained up. So we have to replace it with a new one in this case. 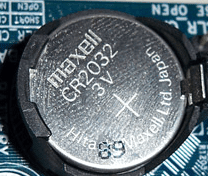 Drained battery is the main cause that you can see wrong time on your system. If all the above methods doesn't work for you and you are still facing Windows 10 time wrong issue, then I would suggest you to change your CMOS battery. It is fixed on your mother board. You can replace it easily and buy a new one. You have to just press the lever and pull the old ones out and fit the new one inside it and this will solve your CMOS battery drainage issue. Also learn How to Uninstall McAfee from Windows 10. 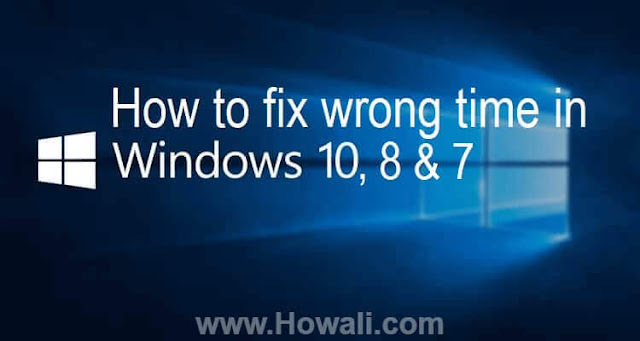 So here I have explained how to fix wrong time in Windows 10, 8 and 7 by changing the time zone. Do let me know through comments how this post has helped you and which of the above method worked for you. Also let me know were you able to successfully update the correct time on your Windows operating system or not. Don’t forget to subscribe to my email list to receive more useful tips in your Email.